Year Five have used their knowledge from their recent Space topic in French today. 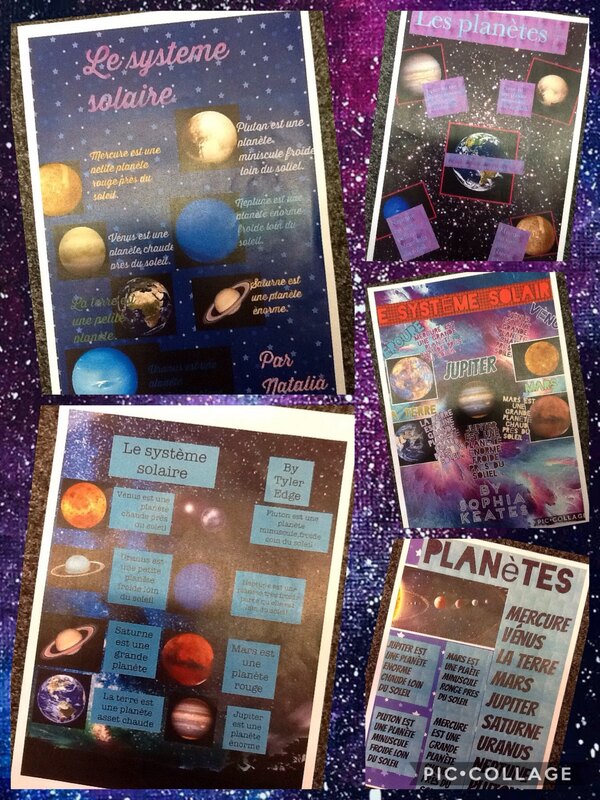 They have created information posters about the planets of the solar system. The fantastic work demonstrates their understanding of French word order and adjectival agreement. I think you’d agree that their written French is ‘out of this world’! This entry was posted in Year 5 and tagged French on March 15, 2017 by Sandford Hill.